Pepper Mills | Als Ik Kan Designs – Woodworking, Crafts, and More! Set your table with a beautifully handcrafted pepper mill made from gorgeous wood. The true colors, patterns, and grains of the wood are not fully revealed until the piece is finished. 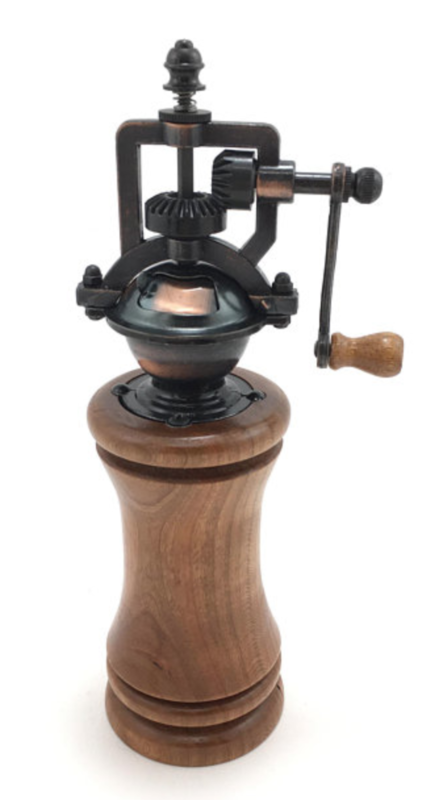 Therefore, each elegant and graceful pepper grinder is unique and one of a kind. We turn each one on the lathe in our workshop and work with the beauty of the wood when designing the style.